The LOVE Moschino® Canvas Backpack will capture your heart! Backpack made of synthetic material. Large heart and brand name at front. Flat base to provide upright structure. Lined interior features back-wall slip pocket. 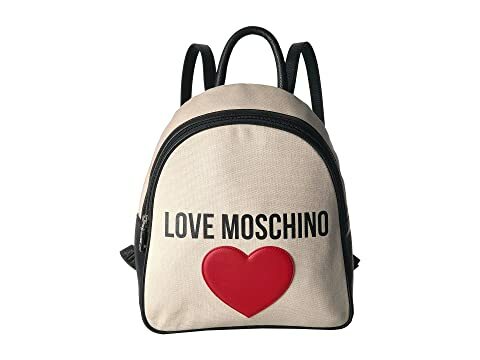 We can't currently find any similar items for the Canvas Backpack by LOVE Moschino. Sorry!